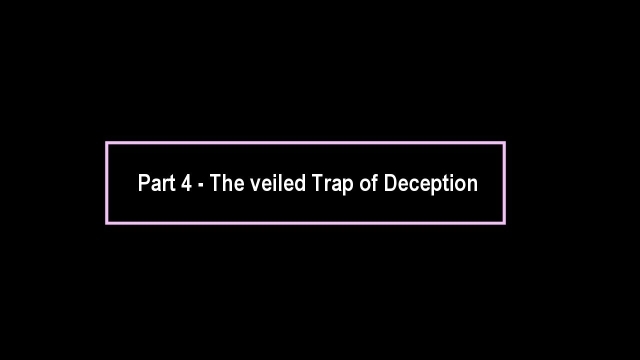 "Deception is a despotic trick that was once championed by the Delphic Oracles that the Roman rulers had routinely solicited advise from," Mary might say at this point. "The oracles lied for financial gain and shaped the world accordingly, into the hell it became under Rome. They shifted the world onto a path to hell that nearly destroyed civilization. They turned the Roman Empire into a fool. They gave it an empty ideology, with which the system of Empire destroyed itself. "Are we still on this course? It seems that we are. You suggest that the world is still in grave danger because of the consequences of the deception. Some factions have become liars for profit. 'In lies wee trust' is the modern motto now. We even print it on the dollar bill. Is that what came out of the perverted Trinity?" Jesus would laugh. "If you see the Trinity that way, you are thinking too small, and are trapped by it. "The Trinity that I behold is the very opposite. I see it as beautiful, profound, and so big that it encompasses all. It is all-inclusive, but not in terms of singularities. It separates nothing. It creates nothing. It draws together in perception what is actually real. "It puts humanity at the center as the tallest manifestation of God. 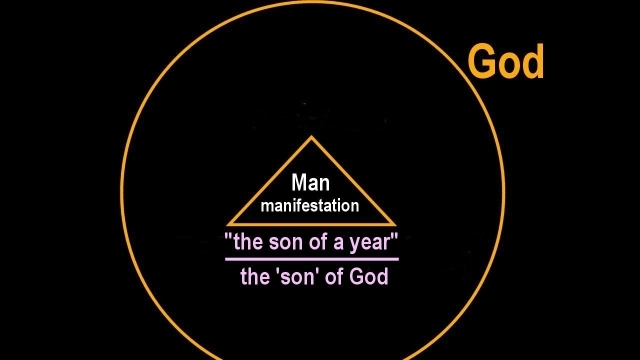 It gives humanity a sense of what God is, by defining humanity as the 'sons of God' in the sense that a calendar month is perceived as 'the son of a year.' It draws up an image of a God that is all, and humanity as the Sons of God seen as a part of the unit of One that includes all. It defines God for us with the highest ideals that we cherish in the heart, that we sometimes even allow us to experience. "No slaves exist here; no suffering, no underlings, no overlords, no impotence, no lies, no liars. All humanity exists with God, individually on the same level, side by side, as in a lateral lattice where all is linked with strands of light; where humanity has universally, all what God is. And that's huge and profound. "This means that it is not possible for physicists not to believe in physics anymore, and society likewise, because the mind of humanity is not unaware of the truth. This unawareness is a delusion in the landscape of dreaming. "Reality is not an abstraction without expression. People call reality God. In it we discover the absolute of ourselves. "Omnipotence is one of the attributes that we attribute to God. The attribute of omnipotence replaces the imagined impotence that we cling to in dreaming. 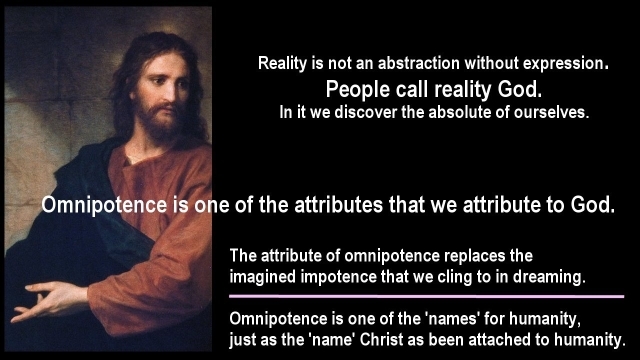 Omnipotence is one of the 'names' for humanity, just as the 'name' Christ as been attached to humanity. "So, don't talk to me about impotence, Mary, or even imagine it. "Don't talk to me about humanity's impotence in emptying its powder keg of the nuclear weapons crap, with the excuse that an oligarchy won't let it do this. Impotence is crap. It is self-delusion. "The real contest is: Omnipotence versus Nothing. No oligarchy rules in the lateral lattice where God is all, and good is the only power. "The Ice Age Challenge isn't in anyway different than the nuclear weapons challenge. 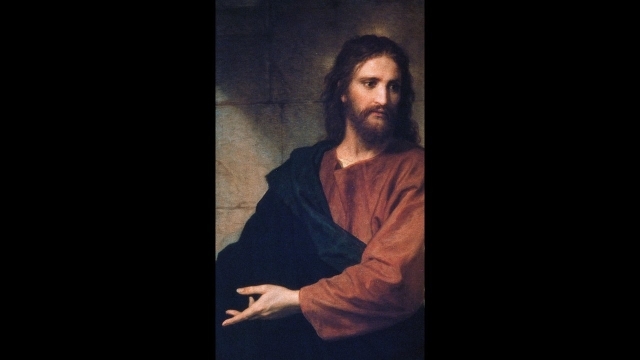 "If you think it is NOT humanly possible to create a new world for humanity's living in 30 years, and with such a power that the Ice Age cannot touch it, then you have blocked yourself off into a black hole of self-delusion," Jesus might add. 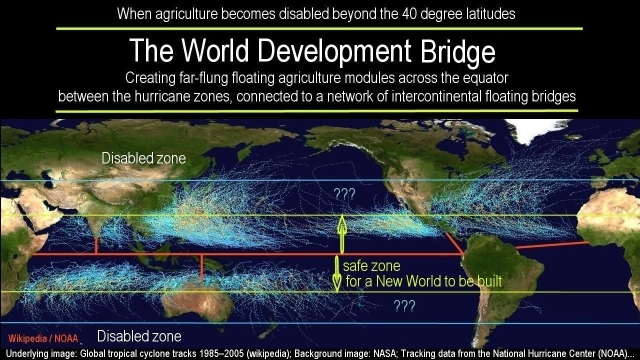 "I see no valid reason why humanity should not be engaged already, in building itself 6,000 new cities, with new agriculture and new industries, afloat on the equatorial seas. People cry from their black-hole mentality that this cannot be accomplished. They cry out from the hole of a delusion. The real face of humanity is omnipotence. Why wouldn't humanity build itself the critical infrastructures on which its future existence depends? The materials to do this exist in abundance, and so do the energy resources. Even the technologies exist. All that humanity needs to do, is to step out of its black-hole mentality. When this step is taken the impossible will be accomplished with ease, and with joy, and will lay down peace like a carpet that flows from experiencing the great creative power that humanity has that produces great and incredible good." "You evidently realize that there is no such thing as an astrophysical black hole existing in the real universe," Mary might comment. "The imagined cause for this type of phenomenon is not physically possible. No one, can not be aware of this fact, except in dreaming where nothing is real." "People believe in fantasy objects in their dreaming," the pioneer of science would say. "The super massive black hole that supposedly distorts the universe with gravitational effects, which is deemed to be forged by a neutron star, is a fantasy object. It is real to those trapped into fantasies. In dreaming, anything can be fantasized. "The super-massive neutron stars that people dream about, aren't physically possible, because neutrons cannot exist in isolation from an atomic nucleus in which they are formed. This is simple, basic physics. 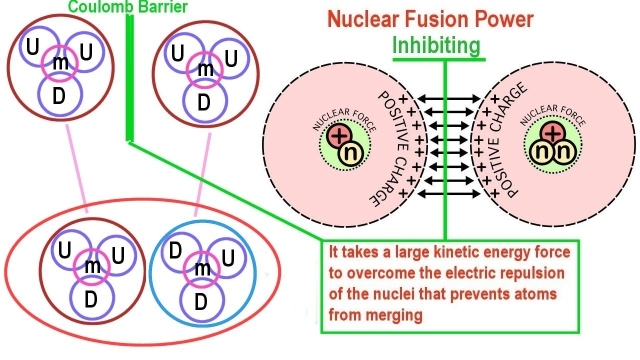 "When 2 protons are forced to join against the electric force that repels them from each other, the overpowering energy is preserved in the bond of the resulting package. The energy is preserved in the package. "Within the protons themselves, an internal change is caused in the process of the physical joining. 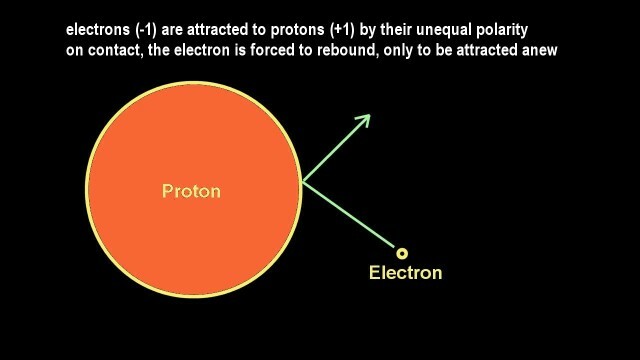 "With the protons NOT being solid entities, but are formed by a combination of energy fields, named quarks, the joining of two protons causes a transmutation of one of the energy fields, which alters the electric characteristic of one of the protons. "There are three types of energy fields combined in the proton. Two types are quarks, termed up-quarks and down-quarks. And the third type is an energy field that creates the effect of mass, termed the Higgs field, according to name of the man who had theorized its existence. "By the joining of two protons, one the up-quarks in the resulting package becomes transmuted into a down-quark. This renders the respective proton, a neutron. A neutron is an electrically neutral combination of quarks. The electric potential still remains residing in the quarks. Only their expressed effects are cancelled out. "An up-quark has a field of 2/3-positive energy, and a down-quark has a field of 1/3-negative. The two up-quarks and one down-quark in a proton add up to an effective electric field of plus 1. If one of the up-quarks is transmuted into a down quark, then the sum adds up to zero, and the respective proton becomes a neutron. The energy for the transmutation is likely transferred from the mass field. 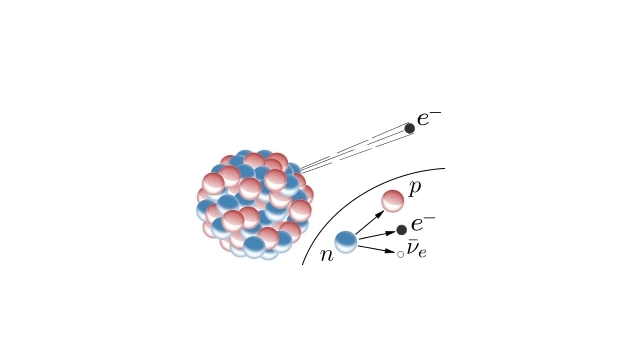 "When the resulting package is forced apart, which can happen in numerous ways, the binding energy that has created the package, is released, and the thereby isolated neutron decays back to being a proton. in a nuclear decay process. "While radioactive decay times within some atomic nucleons may range from seconds to thousands of years, the decay times of isolated neutrons tends to be significantly shorter, too short for the neutrons from an exploding object to gravitationally condense again, into forming a neutron star. "Isolated neutrons simply cannot exist long enough. Neutrons can only exist in stable form, and do so for billions of years, as a part of the package in which they are formed. 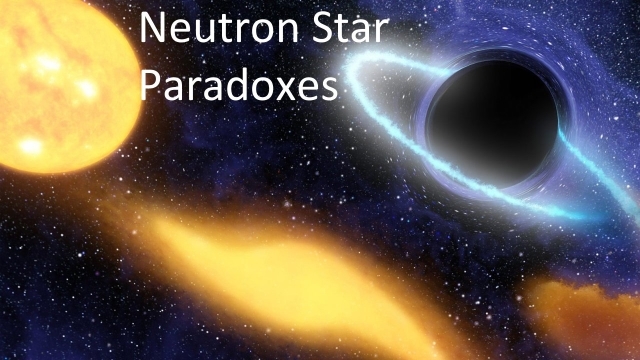 Neutron stars, therefore cannot exist, no matter how strongly physicists believe otherwise. The neutron star is a dream object, never a real object. Most of the physicists in the world believe in their dream objects, as the alternative is artificially blocked. "In the real world, stable, isolated neutrons, do not exist anywhere, except in the imagination. All isolated neutrons that typically result from the numerous forms of nuclear fission, rapidly decay back into becoming protons. 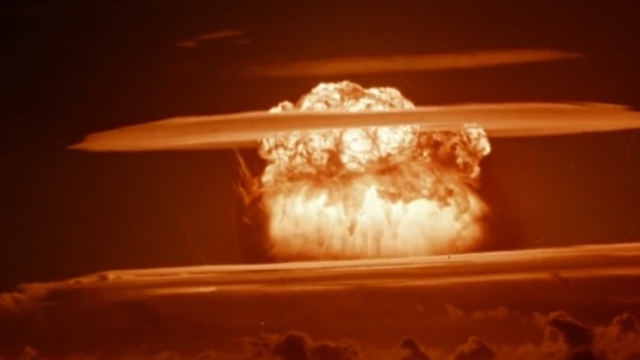 This happens in every case, or else the Earth would have been clogged up with them by the nuclear decay that has been going on within the Earth for eons. The Earth would thereby have become a neutron star. Obviously, it didn't. "All isolated neutrons become protons. As protons they disperse with the electric force as protons do. Neutron stars are simply not possible. Nor are the processes possible that supposedly create the neutron stars. "Neutron stars are believed to be the residue of exploding stars. The exploding star phenomenon is NOT possible, because plasma, which every star is, cannot explode. 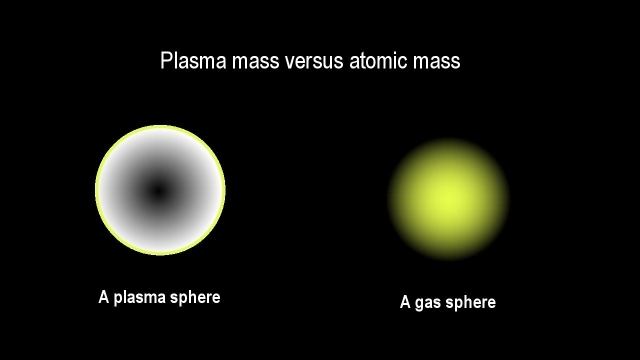 "Every sun in the universe is a sphere of plasma, instead of atomic gas, as it is imagined to be. Plasma cannot explode. This means that stars cannot explode. "The observed super-nova events are not the result of exploding stars. They are only possible as nuclear explosions of planets,. Only atomic materials can explode. The explosions may be triggered by various types of causes. When atomic explosions happen, the binding energy that had formed the atomic structures when the atoms were forged, becomes unbound. "In an atomic-bomb explosion, only a few grams of the bomb's atomic material actually fissions. When an entire planet fissions, the result is unimaginably enormous. 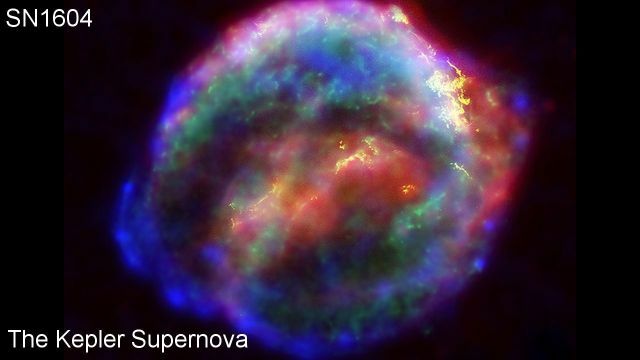 "That's what a super-nova is. Such events happen rarely - once in a decade in our galaxy of 400 billion stars, or in nearby galaxies, but when it happens, the event is big. 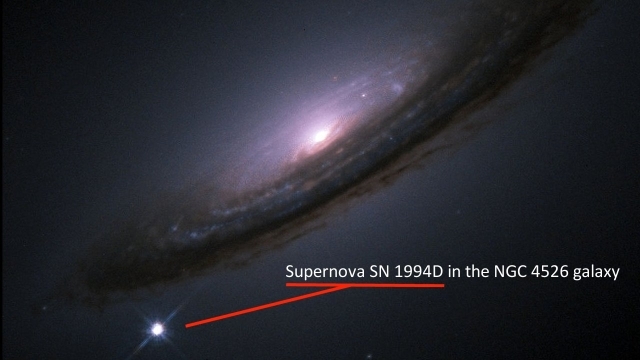 Supernova events can be so big that they can be observed in nearby galaxies. "Most of the resulting fission products typically remain atomic in nature. No neutron star results. The planet blows apart, with little but dust remaining of it. 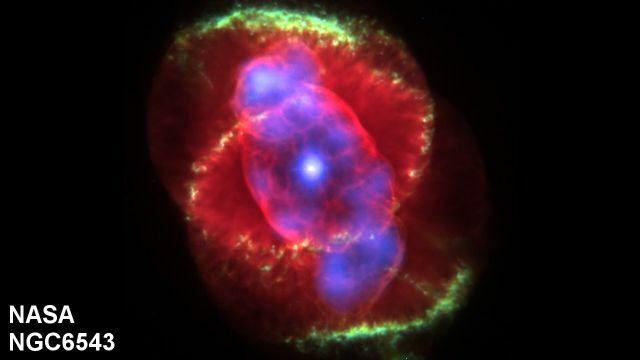 The dust typically forms a nebula. 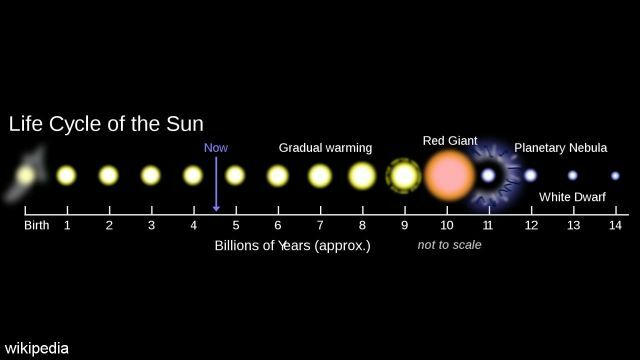 Planets tend to explode near a hyper-active sun. "All the atomic material in the universe is synthesized in plasma fusion on the surface of a sun. The material disperses with the solar wind and forms planets. "In extreme cases the synthesized material may also expand to become a nebula of sorts. 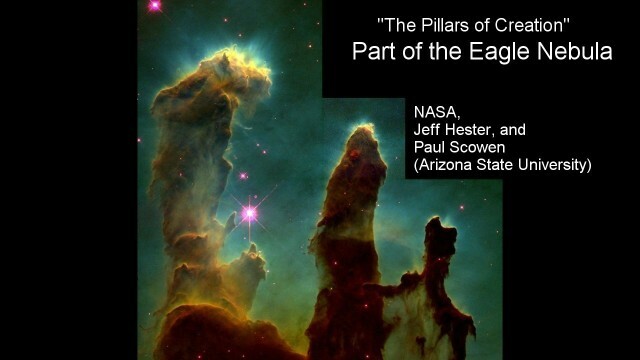 "The materials also condense into planets. A planet may become severely overloaded in time. 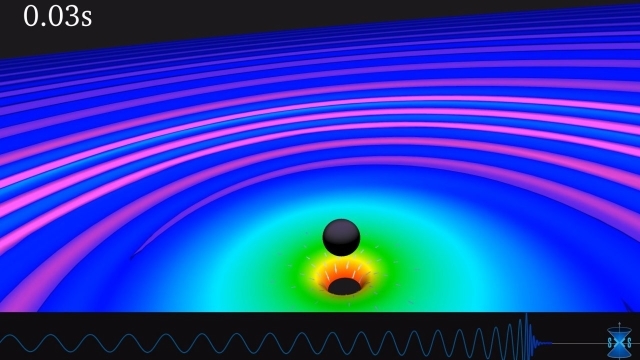 The gravitational pressure may reach a point when it crushes the atoms in the planet's core, by which the atoms' binding energy becomes unbound and the entire planet fissions in a chain-reaction explosion. "The unbound neutrons decay back into becoming protons again, from which they were formed in the first place. No neutron residue remains that becomes a black star. 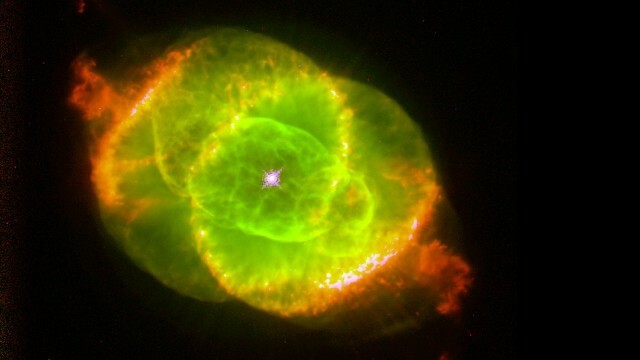 "If a stellar explosion would destroy all atoms so that a neutron star would remain, the resulting nebula would never bee seen, because wherever light is emitted, atomic material is involved. Neutron stars cannot exist, nor do the physics exist for them to be created. 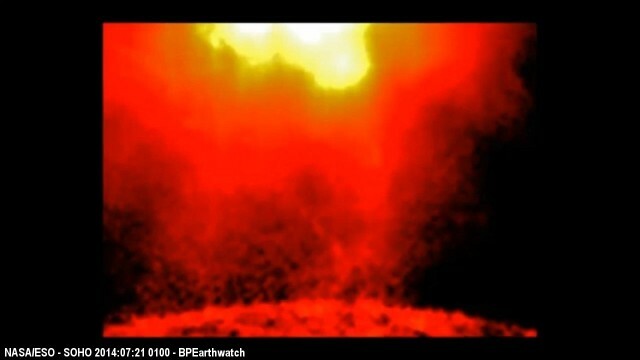 "Planetary explosions may also result from collisions with a sun. "Most collisions are by micro-meteorites. The gigantic-size type of supernova collisions are rare. In no case, however, would a neutron star be born in the residue from the explosion. 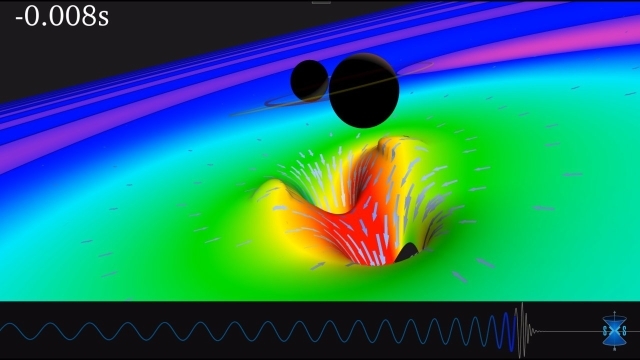 "Super-massive neutron stars are simply fantasy objects. And even if they were real, they wouldn't have more than half the mass of their original planet. 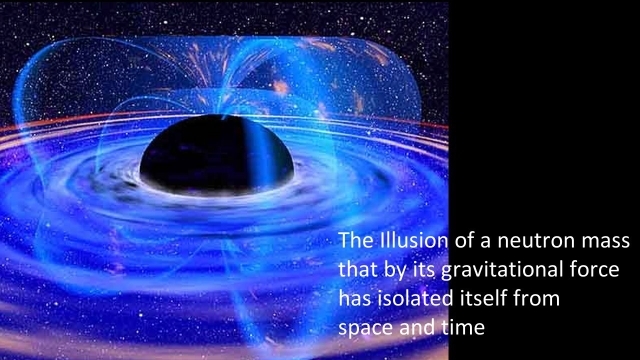 The resulting gravitational effect would be minuscule, instead of being super-gigantic. "The entire neutron-star imagery is simply a dream, and is physically impossible. The attributed effects are simply plasma effects in every case. 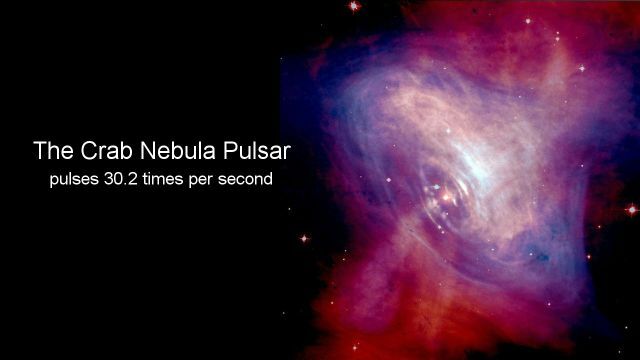 Even the famous 'pulsars' that are often found in nebulas are much more rationally understood in plasma physics. In the fantasy world, pulsars are deemed to be fast-spinning neutron stars, at thousands of revolutions per minute, which are deemed to generate energy pulses as they rotate. In the plasma cosmos such fantasies are not needed. The pulsars are much simpler. "At node points in plasma streams, plasma becomes magnetically concentrated under a magnetic confinement dome. When the plasma pressure exceeds the confinement strength, a stream of plasma is ejected at the weakest point of the confinement dome. As the pressure is reduced thereby, the confinement is re-established, until the pressure builds up again and the process repeats itself endlessly. No impossible magic is needed." 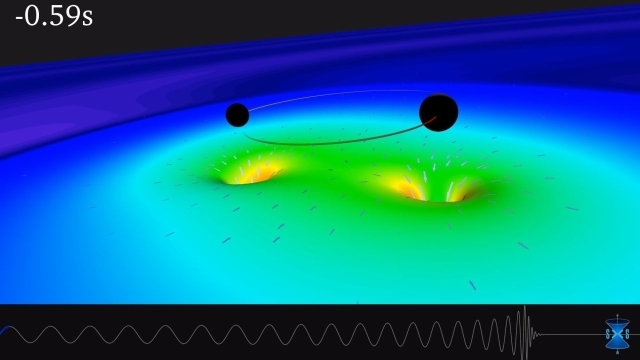 "The latest fairy tale magic imagines a mythical cosmic dance of two binary black-hole stars orbiting around their gravitational center, distorting space with their gravity as they go. "The black stars are deemed to be orbiting with ever-greater rapidity, becoming drawn ever-closer towards each other. "The entire process lasts only a fraction of a second till they merge after a whirl of gravitational effects that are felt over billions of light years. 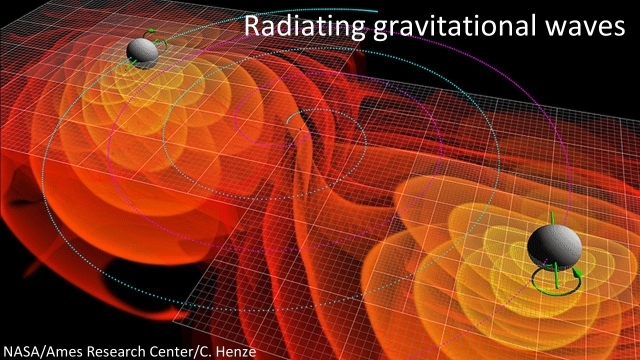 The effects have been termed gravitational waves. "This fantastic whirl-wind dance, of course, is impossible, because as everyone knows, the most basic principle of orbital mechanics renders such an occurrence absolutely impossible. "This fact is demonstrated by every orbiting planet in every solar system throughout the universe. Their orbits are stable. 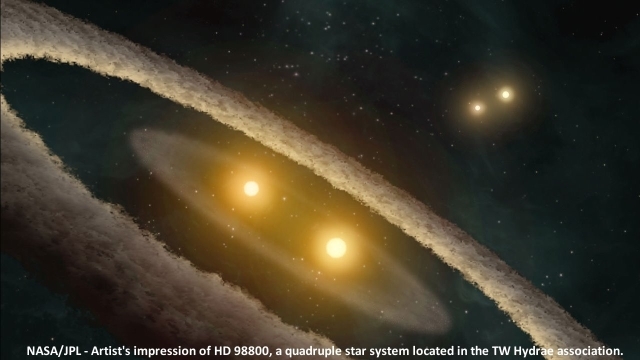 "Even binary star systems, of which there are many, remain stable in their orbit, not fore seconds, but for billions of years. "Stable orbits are achieved in every case by the basic fact that the centrifugal force would increase a magnitude greater than the gravitational hold would increase, should an orbit decay. "For this reason orbits cannot decay, and of course, do not decay. "The entire fairy tale dance, of the dance of the imagined black holes, all mathematically theorized with great precision, becomes thereby physically impossible. "The much promoted theory of this imagined dance demonstrates nothing more than, that in their dreaming, physicists don't even believe in the most basic mechanistic principles anymore that have been understood since the 1600s when Johannes Kepler discovered the principles. "For which the universe itself is proof, infinitely." "This appears to be not the worst of it yet," Mary interrupts the master scientist. "The fairy tales that are spun around the Sun are worse. The fairy tales proclaim that Black is White and White is Black." 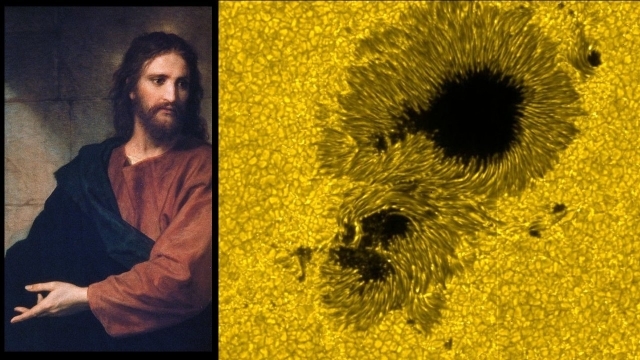 "The fantastic story spun around the sun has it that the 'prince of the Sun' lives inside it and combines hydrogen gas atoms into helium gas atoms in a process of nuclear fusion, which powers the Sun from the inside. 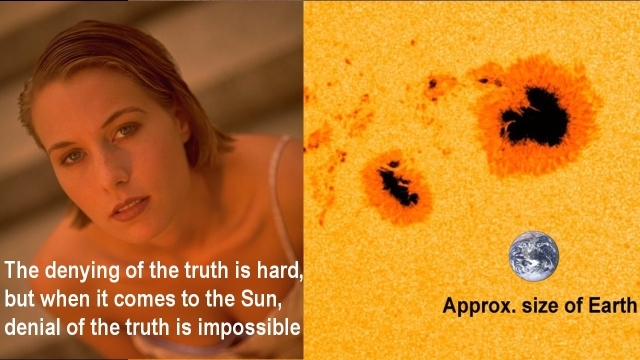 "But what do I see when I look through the umbra of the sunspots? I see that the Sun is dark beneath its shiny surface, instead of it being brighter as it should be, being powered from the inside. 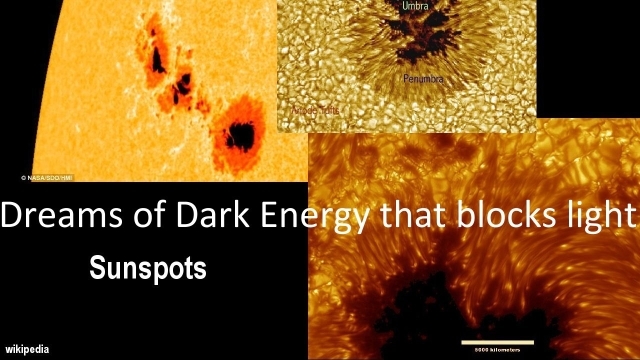 "We are told by the physicists, in their fantastic tale about the Sun, that the sunspots are dark with dark energy streaming through them, We are told that dark is light; that black is white. They sing this song as required by a script given to them. " "What would a fairy tale be without a large dose of magic spicing up imagined wonders," the master of science would answer. "And the child would be correct in saying this, because the real Sun, truly is dark inside. All the light and energy that flows from it, flows from the surface. When there is a hole torn into the surface, the darkness beneath it becomes visible. "It has to be that way, because the Sun, being a plasma star, is inherently empty inside. Nothing happens inside a sun. The energetic reactions happen on the surface. A child can understand this. It is that simple. 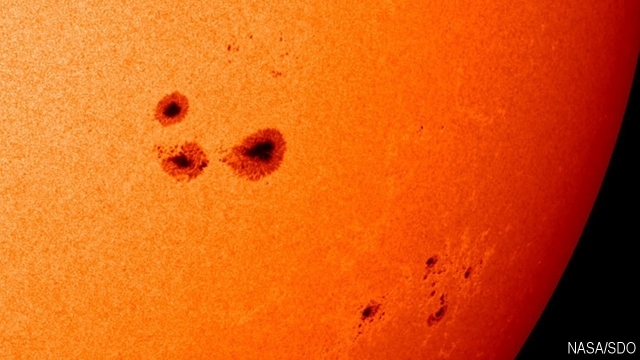 "The sunspots are a part of the proof that we have that the Sun is a plasma star. 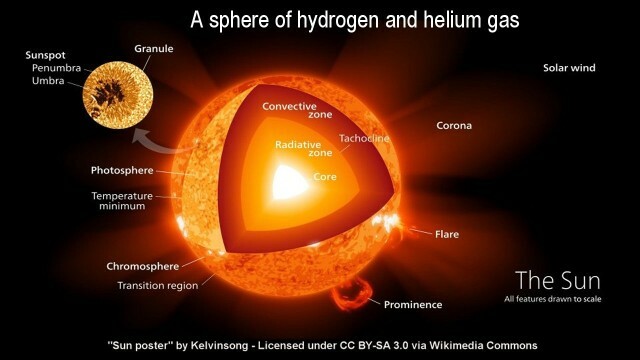 "Also the Sun is far too light to be a gas sphere. Compare it with the big gas planets. Jupiter, with twice the volume of Saturn has twice the mass-density, because of its greater gravitational gas compression. 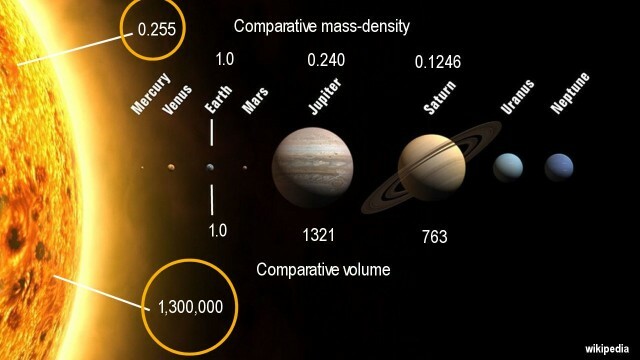 But the Sun, with a thousand times greater volume than Jupiter, has roughly the same mass-density. Its mass-density should be a thousand times greater. 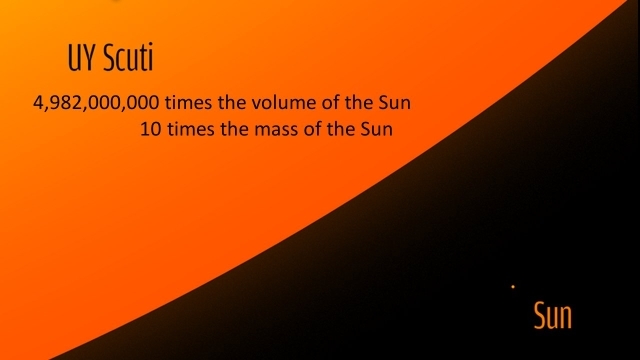 This means that the Sun cannot be a gas sphere. 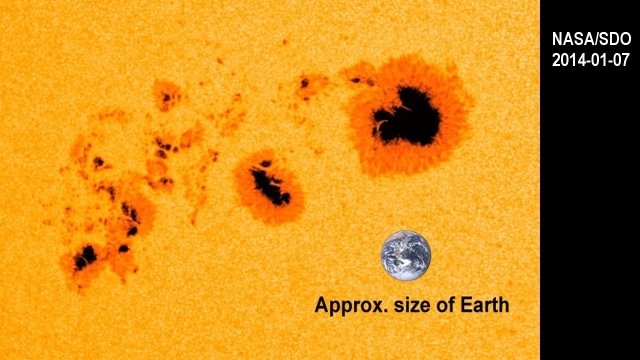 In fact, a gas sphere of the size of the Sun cannot exist. The gravitational compression in its core would be so great that all its atoms would be crushed, if it was a gas sphere. None of these paradoxes are encountered in plasma physics. "Plasma is a 'soup' of electrically charged particles. It is made up of protons that repel each other by their positive electric force. Plasma also contains negative electrons that are 2,000-times lighter. They squirm around the protons and shield the protons from each other. "When plasma exists in large masses, the lighter electrons tend to migrate to the surface, away from the gravitational center, like marshmallows float on top of milk. "The electron migration enables the protons inside a sun to repel each other more. 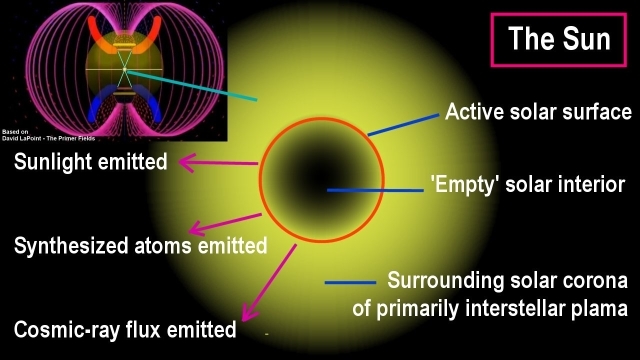 By this principle a sun is essentially a hollow shell that has its greatest mass-density on its surface, with the surface teeming with electrons. That's where the reactions take place. "The plasma-shell principle for a sun is also the reason why extremely large stars are able to exist. 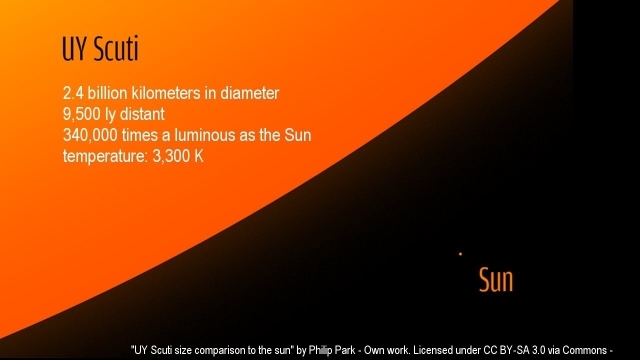 The giant star UY Scuti, for example, is 5 billion times larger in volume than our Sun, but is believed to contain only a 10-fold greater mass than the Sun. 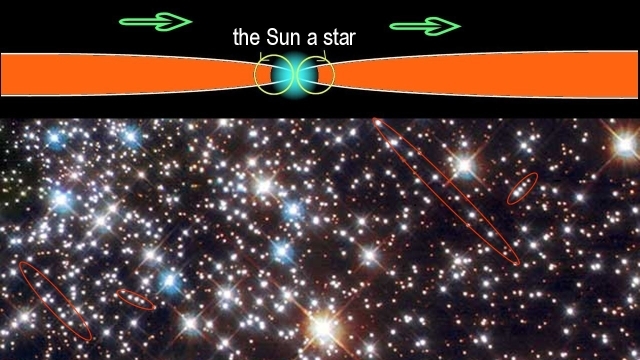 "With this comparatively tiny mass, the giant star outshines our Sun 340,000-fold. "These extraordinary features are totally impossible under the gas-compression model for a sun, but they are not surprising for a plasma sun that is energized by interstellar streams of plasma flowing into it. That's what powers our Sun and every other sun. "Every sun reacts with interstellar plasma that is densely focused onto it. Plasma, itself, is invisible. Plasma lacks the dynamics that generates light and heat. Only atomic elements emit light, and only when they are affected by energetic plasma. 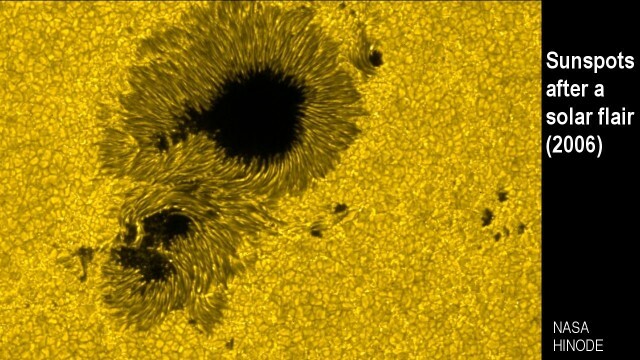 Both process occur on the surface of the Sun. the Sun produces atomic elements and energizes them in the same process. The sunlight is our witness that this is so. It tells us that the Sun is a Plasma Star. The sunlight combines the emission spectra of all the natural elements, because they all exist on the surface of the Sin where they are created." 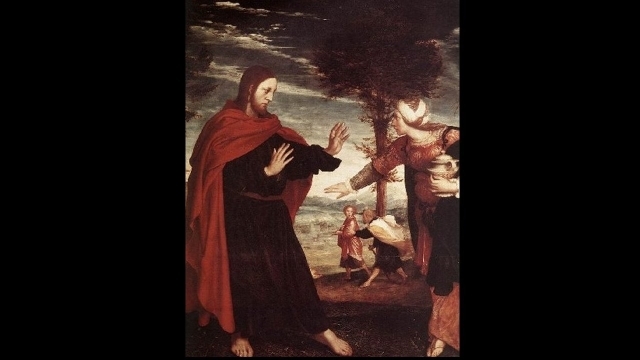 "I think I am beginning to understand your concept of the trinity," Mary might interjects. 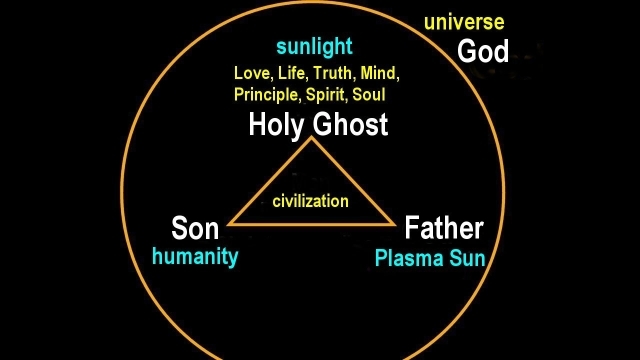 "If one regards the Plasma Sun as the Father, the Holy Ghost as the sunlight, and us as the Sons who live in the sunlight, then the theological trinity actually works. "In the sunlight we discover what the SUN is, just as we discover in the 7 spiritual colors, Love, Life, Truth, Mind, Principle, Spirit and Soul, what God is, and what we are as we value all of these colors in all that we are. If a single 'color' was missing we wouldn't have a civilization. We might not even exist. This means that we see in us, God reflected, in all that we are. 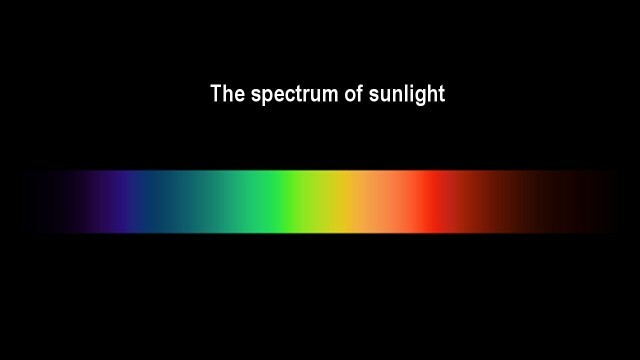 "Except the Sunlight contains not just 7 colors. It contains the colors of 94 different spectra mixed together. 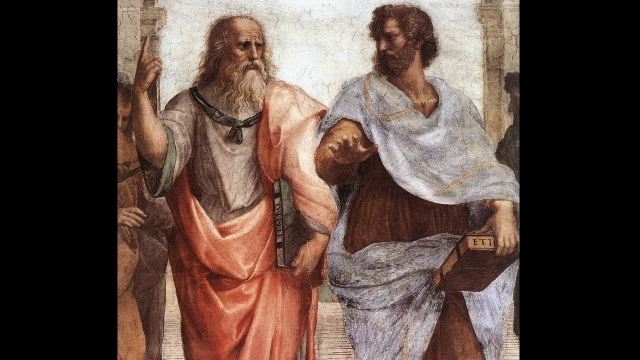 "Maybe this correlative trinity was already understood in ancient times, in some degree, and then became lost by the use of archaic terms and concepts that had reduced the spiritual universe to mechanistic phenomena, as we see it again happening in physics?" 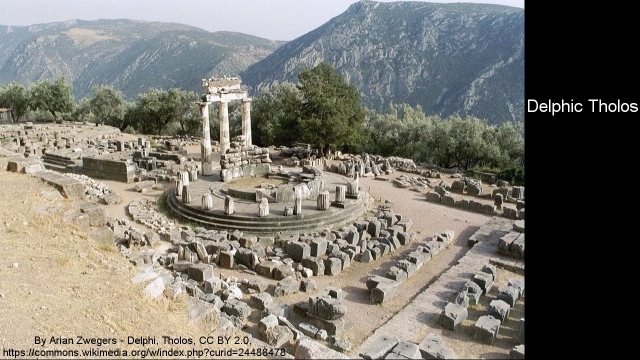 "The ancients also lacked the science and technologies that we have today," the master of science might have answered. "They couldn't see the Sun other than as a glare. "The sunlight is our proof that the Sun is a plasma star. As you have recognized, the proof lies in the rich spectrum of the sunlight that is is a composite of the emission spectra of all the different types of atoms in its reactions cells. Only a plasma sun is able to produce the sunlight that we see. 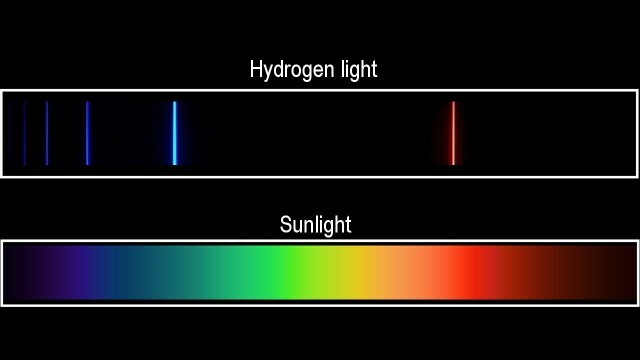 "If our Sun was a sphere of hydrogen gas, its light spectrum would be extremely meagre." "If one removes plasma physics from the palette of cosmic considerations, one banishes 99.999% of the universe from the mind. Of course, what happens thereafter doesn't make sense. 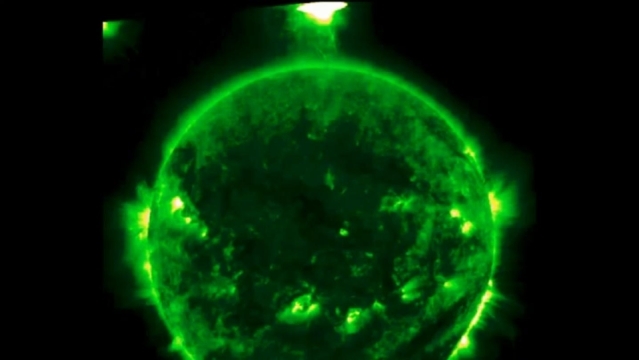 If science banishes the plasma Sun, it banishes with it the solar wind and solar cosmic-ray flux, both of which are plasma that a hydrogen Sun cannot generate. And by banishing that, science banishes the Earth's historic climate that has been hugely response to changing solar cosmic-ray flux. That's elementary, isn't it? It's been measured, plotted, and verified in different ways." "You are getting close, Mary," the master of science might say. "This is more than critical, what you are referring to. 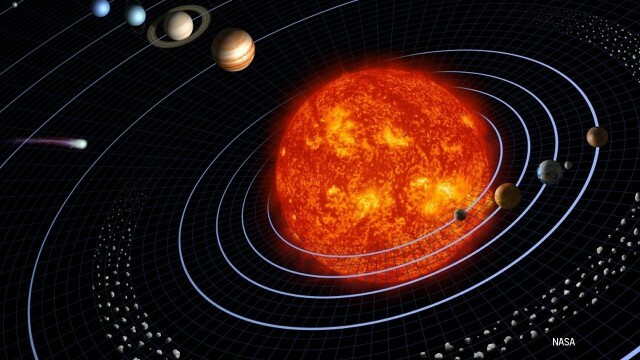 It is essentially critical that the plasma model for the Sun be recognized and be acknowledged, because our Sun's activity is rapidly diminishing, and with it our climate holiday on Earth is drawing to a close. This is what I call, elementary. 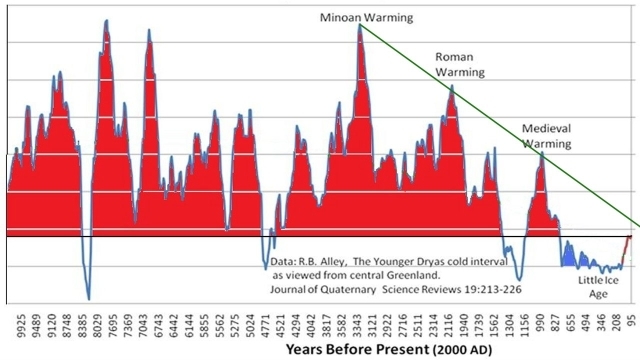 "The climate began to diminish roughly 3,000 years ago. "We have recently discovered that the diminishing climate does accord well with the diminishing rate of solar activity. This means that the Sun is our climate master. 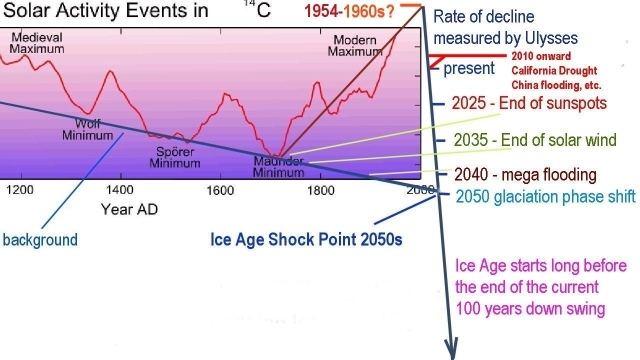 "We have also seen that the solar activity was ramped back up after the Little Ice Age in the 1600s, which gave us 250-300 years of global warming. "After that, we have seen the beginning of a near free-fall collapse in solar activity happening at the amazing rate rate of 30% in 10 years. 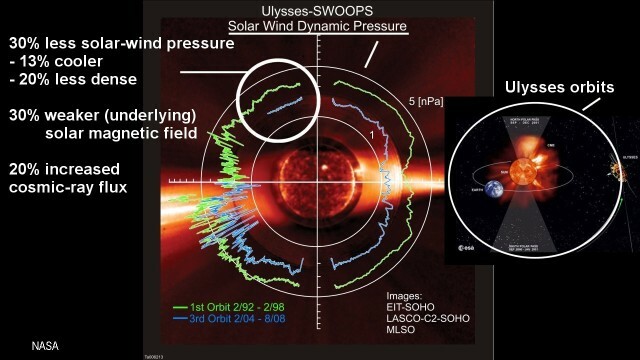 "That's the fast diminishing of the Sun that we have measured with the Ulysses satellite in a polar orbit around the Sun in the form of diminishing solar-wind pressure. 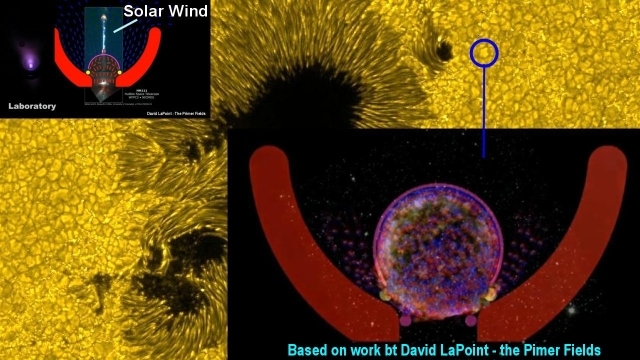 "If one projects the Ulysses rate of diminishment forward, the sunspots will end in the 2020s, the solar wind will stop in the 2030s, the solar surface temperature will diminish after that, until in the 2050s the electromagnetic fields collapse that focus plasma onto the Sun. 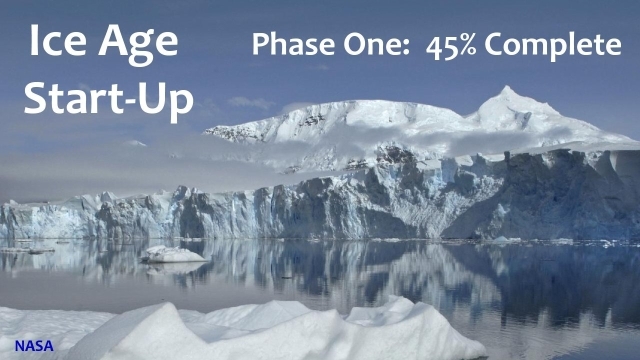 With the resulting phase-shift the solar temperature reverts back to its Ice Age default level, a 70% reduction, with which the interglacial holiday ends and the Earth becomes rapidly uninhabitable. "This scenario is not a fairy tale. It is happening. The process has already begun. The rate of collapse is real. The first phase of it is half complete. "What I am telling you, is critical, Mary, because if humanity fails to recognize the truth about its solar system, and thereby fails to respond to what is already unfolding, it will commit universal suicide by default, because it then fails to build itself a new world with technological infrastructures that will enable its living to continue on the otherwise uninhabitable planet Earth. 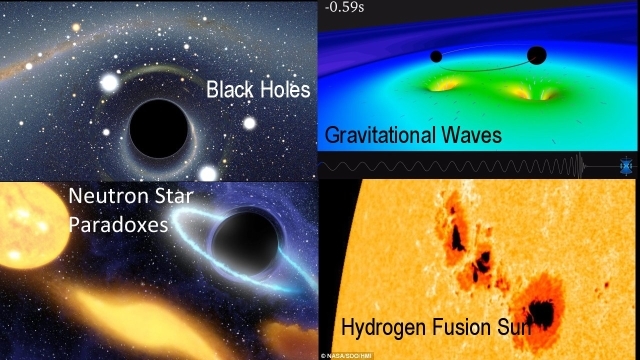 "This is why the numerous fairy tales about a universe without plasma are immensely dangerous. They hide the true nature of the Sun and the solar system behind a veil of deception that is imposed on it, or is invited. "The fairy-tale noise has become so loud in modern time that nothing real is being heard anymore. If this isn't dangerous, nothing is. 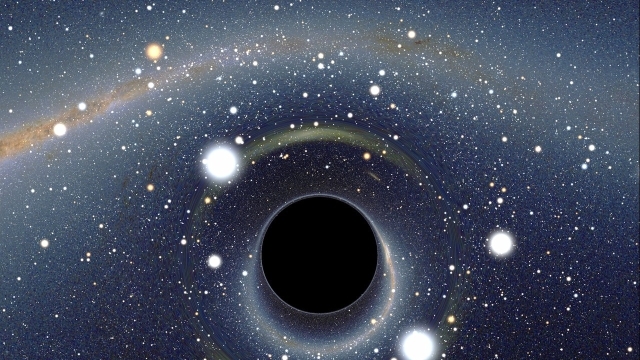 "The black-hole dreaming isn't dangerous in itself. Its effect on humanity's thinking is dangerous. It creates a more-infantile thinking in the sciences. And that's the intention that you must counteract, Mary. That's your task. When you succeed you will have peace, and joy, and power. "An alert thinker can protect itself against this trap. This isn't actually hard to do. 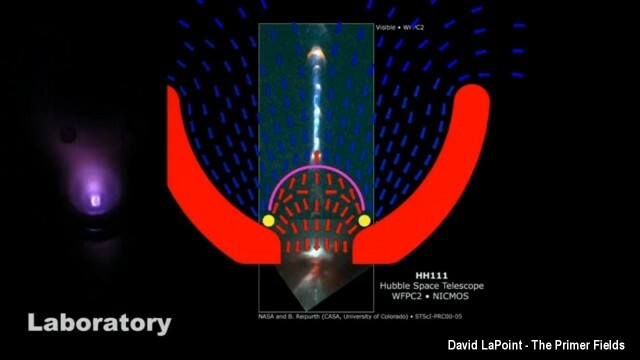 The black-hole mechanistic 'theology' is so crude that an alert thinker can relate all so-called back-hole phenomena to commonly known plasma-flow physics. This ends the need for having to believe the impossible. "To an alert person the imagined magic dance of the black holes spiralling into each other, which defies all known principles, unfolds as nothing more complex than two major plasma streams merging. Large effects can result from that. Replace the black holes with plasma streams, and the effects will be as has been detected. No magic is needed. Plasma streams are real, and they do rotate fast, and do join very quickly, because plasma streams are electric in nature and to respond to the electro-magnetic force that is 39 orders of magnitude stronger than the force of gravity. "To a human beings the truth is knowable. And knowing the truth is liberating. "Inversely, in the modern landscape of multitudes of trapped people, knowing the truth is lacking. Society needs to be roused to the truth. The lack of truth has become existentially critical, because a society of dreamers will not rise up and build a new world for itself to assure its future existence, which it sees no need for in the landscape of dreaming. "A scientifically immovable society is committing suicide by default, without being aware of it. "The whole of humanity is presently stuck in this trap, because too few in society are alert enough to cause a general movement away from the trap. The world is waiting for things to fall into place by itself. That's deadly."